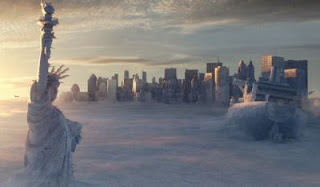 POLEMIC & PARADOX: A MINI-ICE AGE? Winter is coming! Prepare for a mini-ice age! But I thought the planet was headed towards a melt-down? Confused. You are not alone. Prof Valentina Zharkova of Royal Astronomical Society says a new model of the Sun's solar cycle reflected in a new prediction model declining solar activity could lead to a mini-ice age like that encountered in the period after 1645. Solar physicists say the variations were caused by a dynamo of moving fluid deep inside the sun. In 1843 scientists first discovered that the sun's activity varies over a cycle of 10 to 12 years. The conditions predicted have not been experienced since the last "mini ice age" which lasted from 1645 to 1715, called the Maunder Minimum. The model shows that solar activity will fall by 60 per cent between 2030 and 2040 causing a "mini ice age". I am a big fan of Brian Fagan, he is a prolific author who presents a view of human history as it unrolls in the landscape of climate. He uses evidence from ice cores, tree rings, fossil pollen, and historical records that show the impact of dramatic changes in weather patterns and climate. 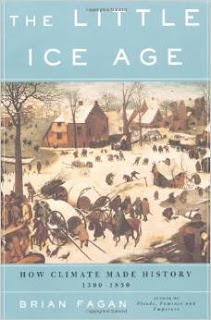 In The Little Ice Age : How Climate Made History 1300 – 1850, the focus is on science and the real story is with regards to the social impacts of climate change. He has written a number of books on catastrophic shifts in climate - global warming and chills. Fagan argues that the effects of global warming will be felt greatest on marginal land and marginal peoples. The consequences will not just be inconvenient, but devastating. Science has shown us that our planet has endured catastrophic and prolonged climate shifts throughout its existence. Is the earth headed for a point of no return? Human activities are pushing the earth beyond its natural cycles.The Great Acceleration has heralded advances in transportation, communication, and other technologies, which have brought unprecedented economic changes. The earth’s population has nearly tripled. Not unlike the global financial crisis which continues to unfold unabated - our ecological debt continues to grow. Humans continue to consume our planet’s resources faster than these can be replenished naturally. The fact that over the last 150 years we have upset the natural balance so significantly points towards devastating impacts for our species.